Take advantage of the most complete tooth implant dentistry care in the area. At Morrison Dental Care, you’ll discover all the latest in dental implantology, all under one roof – implant placement and restoration, mini-dental implants, denture stabilization and complete teeth replacement. At Morrison Dental Care, we offer our patients the most complete implant dentistry care in the area with everything ranging from single tooth implants to full mouth restorations. We do it all, diagnosis, extraction, implant placement, and restoration, with no confusion about treatment or money. Our exceptional dentists, Drs. Lewis and David Morrison have over 50 years of combined experience and continue to advance their skills with extensive training in the latest dental advancements. In fact, Morrison Dental is a three-generation practice that has been serving the community of Clifton Park since 1973 and is well-known for their specialized expertise in implant dentistry. 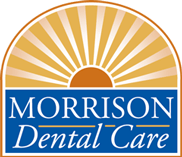 Morrison Dental Care specializes in the latest dental implant techniques and provides patients with implant placement and restoration, mini-dental implants, denture stabilization, and complete teeth replacement. Dental implants replicate the look and feel of natural teeth while providing an alternative to traditional methods, such as removable dentures or bridges. They use artificial tooth roots to permanently anchor a prosthetic tooth, permanent bridge, or a denture attachment. Implant Dentistry allows Drs. Lewis and David Morrison to personalize the color, size, and shape of the prosthetic, resulting in a functional and aesthetically-pleasing implant that replaces your damaged teeth all while restoring the feeling, look, and strength of your former teeth. Dental implants are like rewinding your teeth back 15 years to their younger days. With dental implants, eating whatever you want is no longer a problem. To place a dental implant, localized surgery is required. Because of this, ideal candidates for dental implants must have proper bone density and a strong immune system. Once the implant procedure has been completed, there will be a period of time when the bone tissue must grow around the implant to properly anchor it within the mouth. During this time period, our patients are never without teeth. Once the implant process is completed, as with any type of restorative dental care, diligent oral hygiene and proper care are essential to preserve the implants. Check out our Dental Implant page or click on an option below to learn more! Discover the many benefits of dental implants and mini-dental implants at Morrison Dental Care. Drs. Lewis and David Morrison serve the communities of Clifton Park, Halfmoon, Saratoga Springs, Troy, Waterford, and Mechanicville. Call us today at (518)371-3400 or use our online Request an Appointment form to schedule a consultation and learn more about our complete implant dentistry package!